After a long time i found an interesting social media story. This story comes from Taiwan, China. 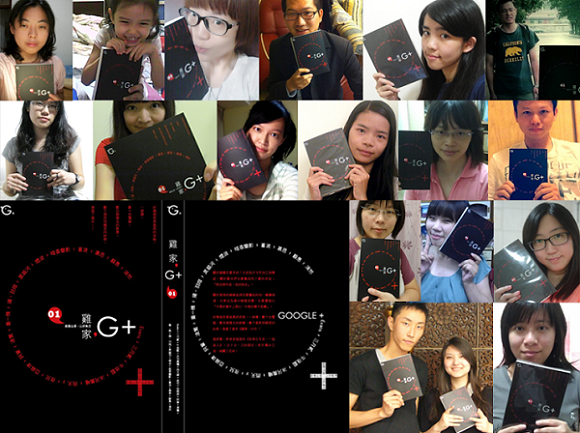 This is a story of Gso Tseng and the strangers, who he met on Google+. Though they all belong to different walks of life, they all had different background, age and occupation but they all shared common interest of writing so they formed a close group on Google+ and later started writing collaborated short stories on Google docs. After a year of collaborated writing, they have finally come up with the novel. They have self published it and designed the cover showing their love and gratitude towards Google+. The novel’s title is, G+: Circle of Chickens. Here’s the Picture of all the contributors of the novel with the published copies in their hands. Unfortunately, the novel is written in Chinese language. So, the people who don’t know Chinese can’t read it. Here’s the Link to the Google+ post in which Gso Tseng mentioned about his novel, share it as much as possible so that this story can inspire as many lives as possible. As a matter of fact, this is not just about Google+ or Google docs, It is about the right use of social media, if we are clear what we are looking for while using various social media sites, we can get a lot more than what we expect. I hope you liked the post. Comment below, I’d like to hear your thoughts about this story.